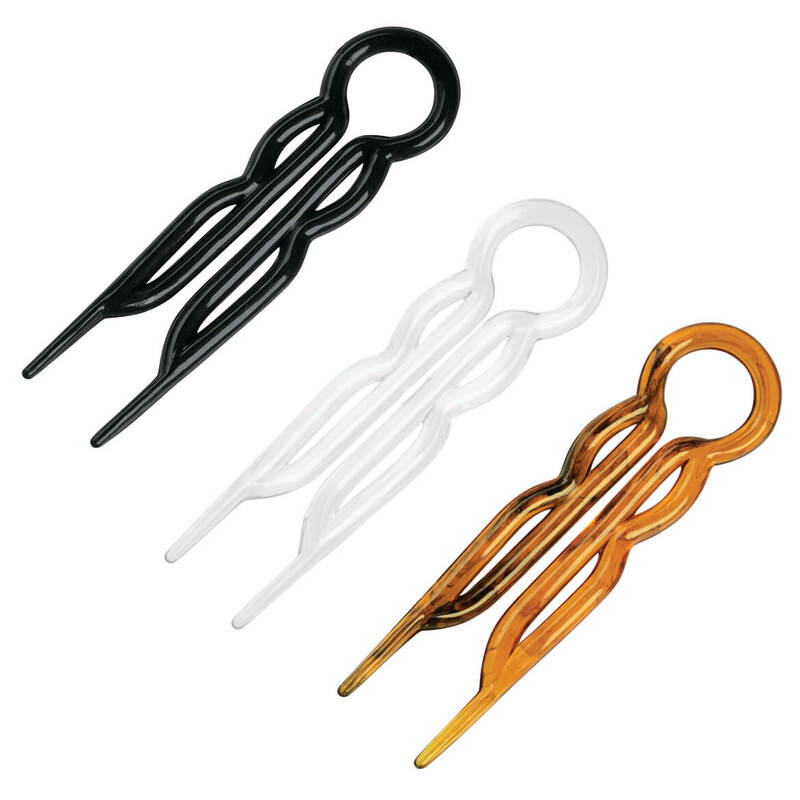 Designed to hold more hair than bobby pins, these flexible plastic magic grip hair pins secure even long, thick hair—without splitting ends! Set of 10. Each, 2 1/2″ long. Keep your makeup brushes clean and organized with this stylish makeup brush set. Leatherette case includes 5 brushes: brows/lashes, blush, eyeliner, and an eyeshadow brush and sponge. Each acrylic-handled makeup tool has its own loop for secure storage at home or on the go. 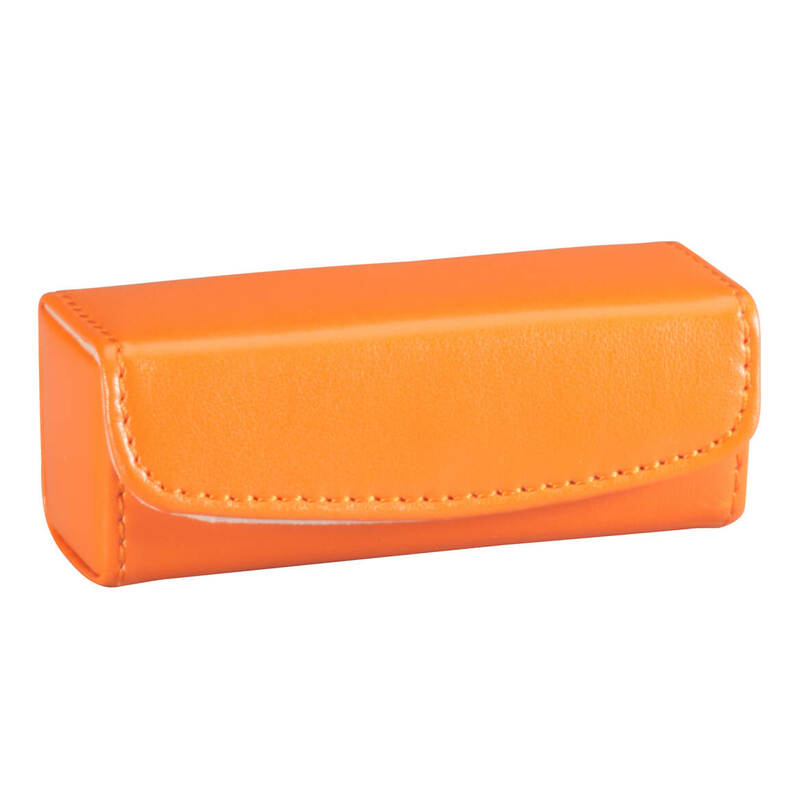 Snap-close case is available in 3 colors: blue, orange or brown. 5 5/8″ long x 3 3/4″ wide. Mascara shield & guide is specially curved for easy use, allow flawless application, protecting freshly applied makeup and delicate skin around eyes from excess mascara. Plastic; 5″ long x 1 3/8″ wide. 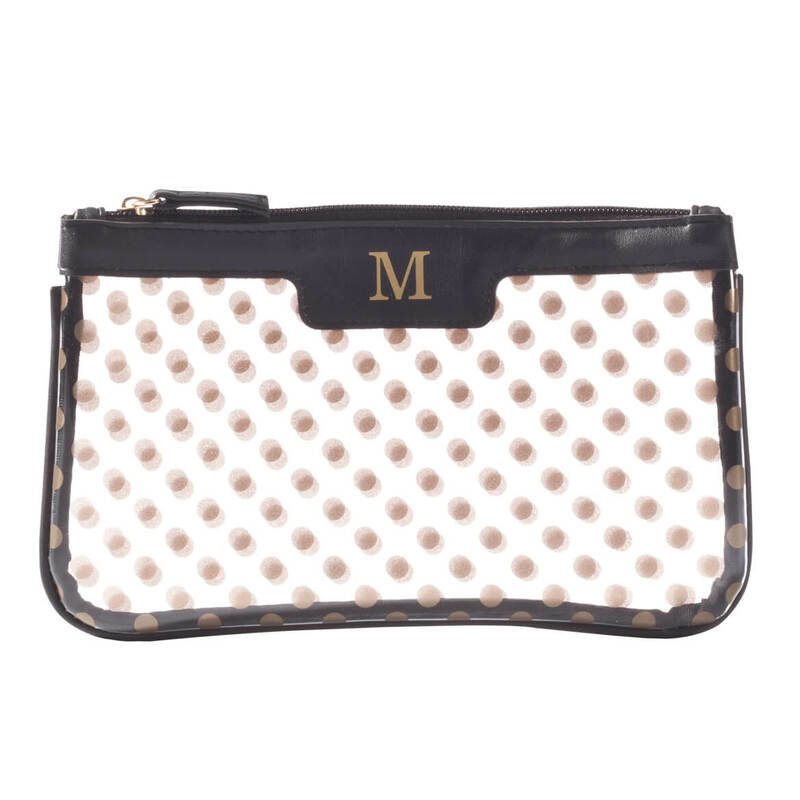 Your beauty regimen gets clearly personal with this cute polka dot clear cosmetic bag! Generously sized beauty bag stores makeup, brushes and more, and the polka dots on a clear background allow you to easily view the contents. With the option to personalize, it makes a great gift for yourself or a pal. Specify up to 3 initials in order of first/middle/last and we’ll arrange for you. Specify color: black trim with gold dots and monogram, or tan trim with black dots and monogram. Makeup bag measures 9 1/4″ long x 5 1/2″ high. PVC wipes clean in seconds. Plush, billowy puffs offer soft luxury for patting on your favorite powder. Pretty rayon ribbon on back makes the 4″ diameter powder puffs easy to handle. Acrylic pile, foam fill; hand-washable. Set of 3. A fashionable way to touch up lip color on the go! 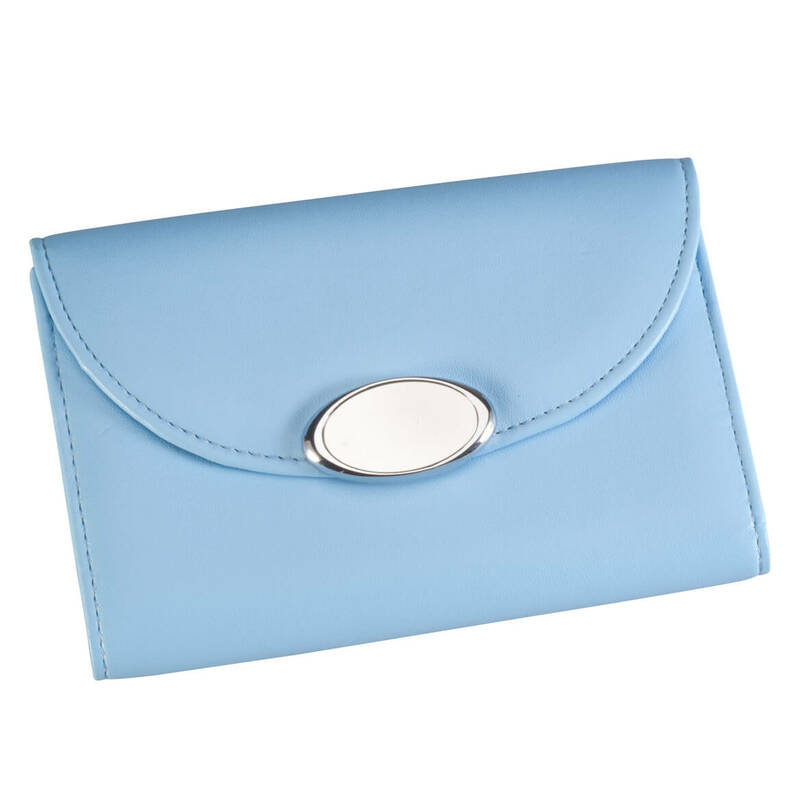 Much more stylish than carrying your lipstick alone, this cute leatherette lipstick case includes a mirror for discreetly checking your smile. Snap closure helps ensure you’ll never again have to search for lost lipsticks in your handbag. Choose from blue, orange or brown. Lipstick holder measures 3 1/2″ long. Wipe with damp cloth. 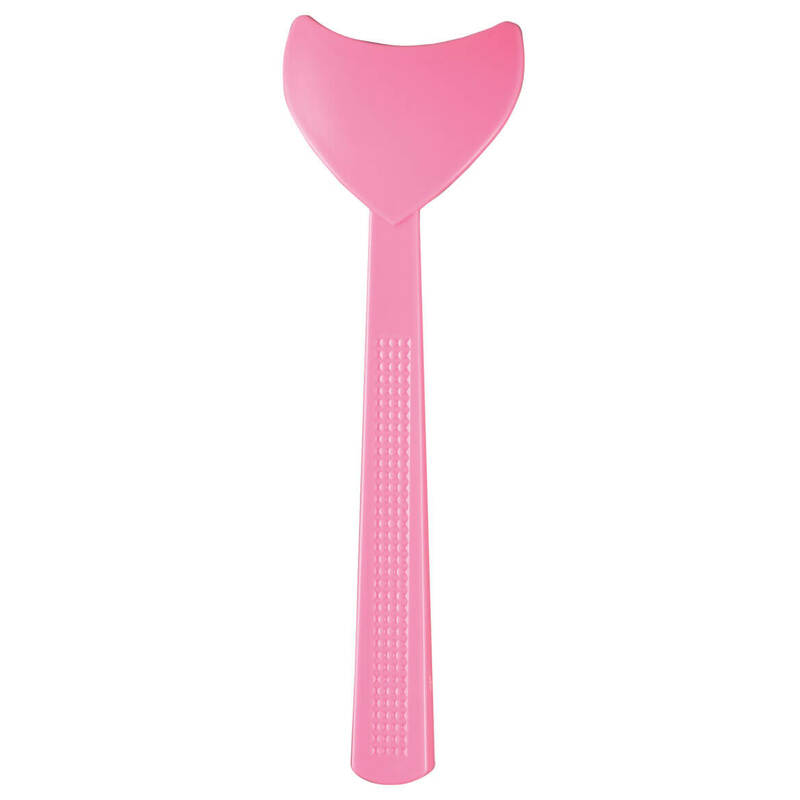 Lotion applicator softens, soothes and protects areas you can’t reach. Apply lotion, sunscreen or ointment. 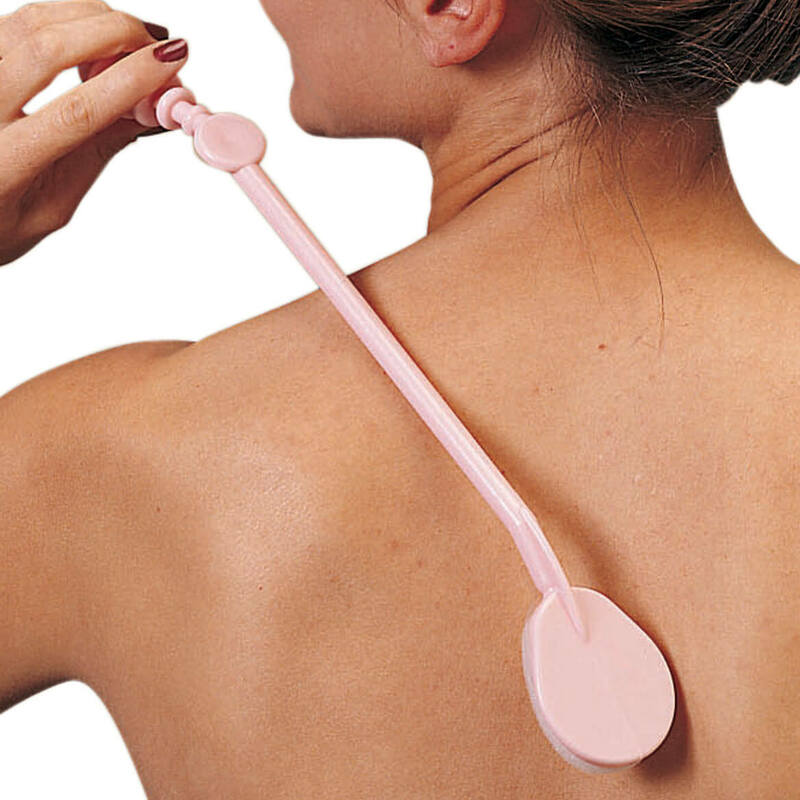 This back lotion applicator has a 14″ L plastic wand; refill pads available. 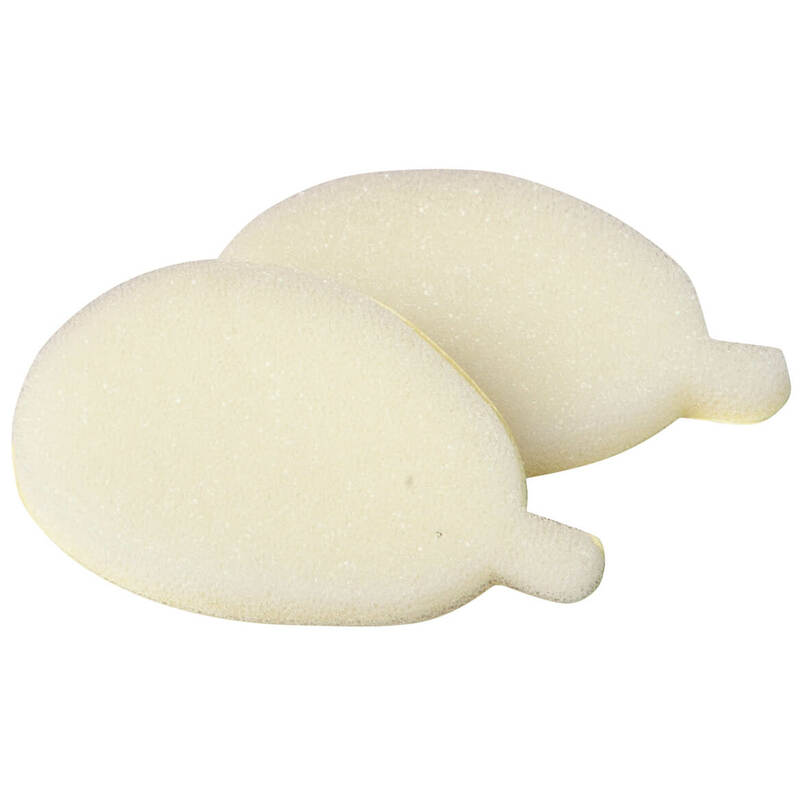 Use these lotion applicator refill pads with your lotion applicator to soften, soothe and protect areas you can’t reach. Apply lotion, sunscreen or ointment. 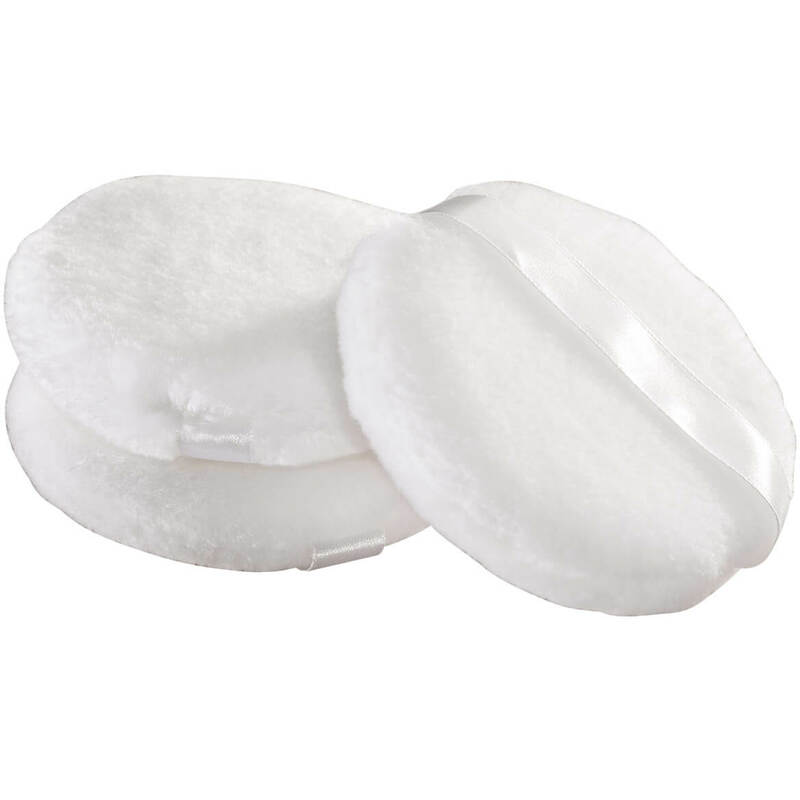 Set of 2 refill pads. Long handled bath brush with easy-reach 19″ folding handle has four interchangeable heads: sponge, pumice, loofah, and lotion applicator. Non-slip ergonomic grip. 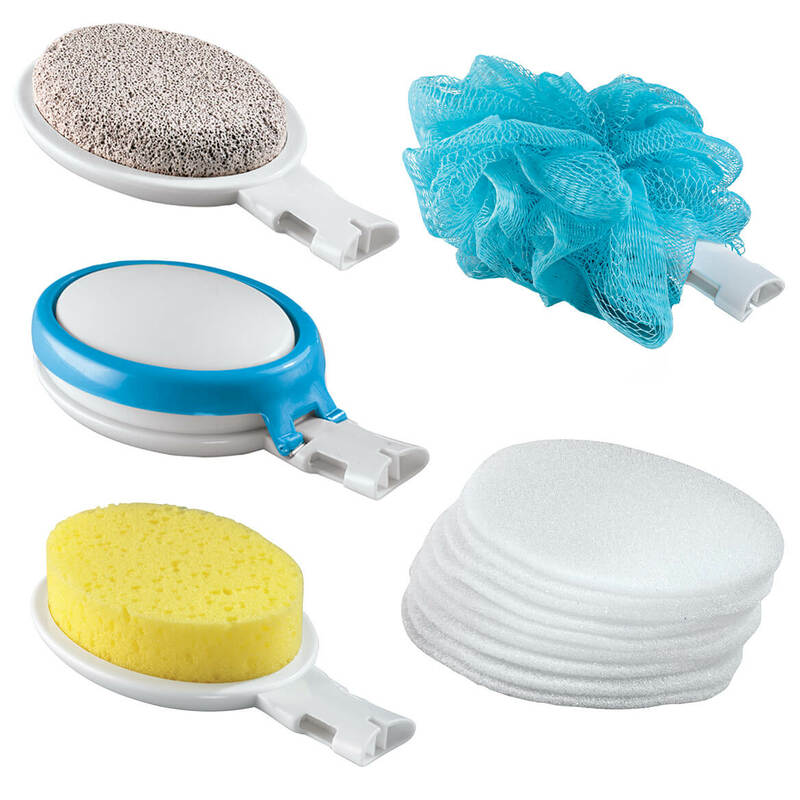 15 piece interchangeable bath sponges with handle includes 10 lotion application pads and a zip storage case. Extending an extra-long reach, this lotion applicator rolling massager helps you cleanse, moisturize and massage, without straining or twisting. Simply fill the long handled lotion applicator with lotion, sunscreen, pain relief cream, or oil, and the 19 rotating balls on this body lotion applicator massage into hard-to-reach areas, so you can use it as a lotion applicator for back dryness. Our moisturizer applicator has a screw-on cover that prevents spills. Polypropylene with removable handle. 18″ long, 4″ wide head.